Who left these shoes behind? Why? 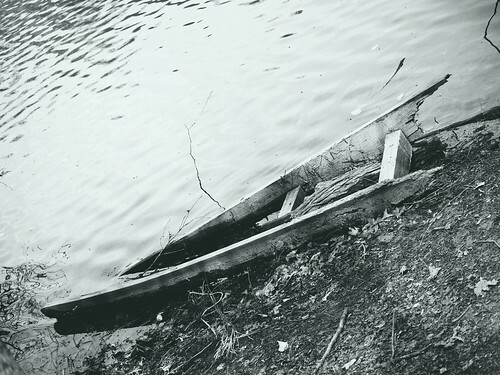 Stories struggle to be told. Atlanta (Edgewood), Georgia. 28 June 2018. Buddleja, aka butterfly bush, blooms in anticipation of an eponymous visitor. In Vista Grove, Georgia, on 17 June 2018. 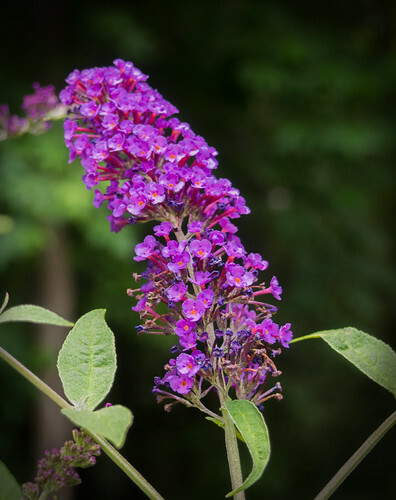 Several species of Buddleja are popular garden plants, the species are commonly known as 'butterfly bushes' owing to their attractiveness to butterflies, and have become staples of the modern butterfly garden; they are also attractive to bees and moths. The generic name bestowed by Linnaeus posthumously honored the Reverend Adam Buddle (1662–1715), an English botanist and rector. One such of the latter is small Lake Erin, in Henderson Park, of suburban Tucker, Georgia. On 8 March 2016, I played photographer, there. Pic(k) of the Week: And what is so rare as a day in June? On 2 June 2018, a new production brewery opened its doors in Tucker, Georgia, a suburb city of Atlanta. Nice, but not necessarily rare. As of 1 January 2018, there were 6,372 breweries in the United States, according to the [U.S.] Brewers Association. No, what was rare was an out-of-the-craft-beer-mainstream character to the event. 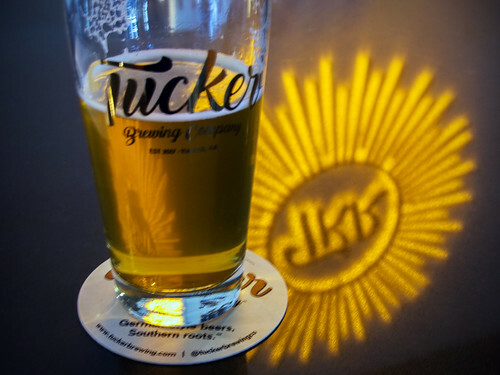 The brewery, Tucker Brewing, was pouring only three beers: a bright zesty pilsner, an amber lager, and a hefeweizen. That was it. 4.8% alcohol by volume (abv). 25 International Bittering Units (IBUs). Hallertau Merkur, Hallertau Perle, and Hersbrucker hops. The pils was not a 'great' beer, as in drop everything, run, don't walk. At least not yet. But it was not an IPA; it was not murky or sour or flavored with ephemera. It was a tasty beer —bright and zesty— right out of the starting gate, a difficult achievement. And it was a pilsner: ditto. The brewery promises more such German-inspired beers to come. (There's a Helles in the conditioning tank.) That is rare. You need money: a brewery is a business. You need expertise: a brewery is a factory. You need 'it': an artist's soul helps. You need a full pint of Gambrinus' luck. I don't know if this Tucker Brewing is in possession of all of these. But there is one more thing needed for survival: chutzpah. And it does have that. And a spacious beer garden. "Like mixing your beer with rainwater and sugar." On 25 May 1944 —a fortnight before the D-Day invasion of Nazi-occupied Normandy, France— the Fredericksburg (Virginia) Free-Lance Star published a story by the overseas American war correspondent Hal Boyle. It was one of many for Boyle —who would later win the Pulitzer Prize for his wartime reporting— but this particular dispatch described the World War II condition of booze in London, England. At his blog "Beer et. Seq.," Gary Gillman has summarized the account, in wry style. His story —"Blondes, Taxis, and the West End"— includes Boyle's description of what Boyle and the American GIs thought of British milds and bitters of the time. Seeking to explain mild ale and bitter beer to Americans, Boyle said mild is like mixing your beer with rainwater and sugar. And bitter is like mixing it with rainwater and quinine. (Today he might say the IPA that is the rage around the world is like mixing Bud with vodka and grapefruit juice). Given that American lager in this period was still fairly bitter, it shows that English beer – pale or bitter ale – easily outstripped it. Since no unusual bitterness was detected in mild ale, one can assume its bitterness was about equal to mid-century American lager. The weakness of British beer was remarked on, something I’ve discussed before as noticed by an Australian journalist. He stated the government must have pondered long and hard to get the stimulant/austerity balance exactly right. 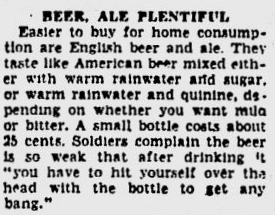 The American soldier’s reaction was typically popular and idiomatic: it’s like our beer if you drink it and get hit in the head with the bottle. Pic(k) of the Week: Still life (at the moment). A past railroad depot, re-purposed: a scene I've wanted to photograph but never had. That is, until 30 May 2018, when I was in my car, with my camera, and the traffic signal held its red just long enough. Decatur, Georgia, on the tracks. Still life (at the moment).